Mahindra launched their much-awaited car for the year, the 2018 XUV500 facelift. The car is launched at a starting price of Rs 12.32 lakh for the base variant to Rs 17.88 lakh for the top trim. The new XUV500 will be available in 12 trims. Mahindra XUV500 is a massively popular and flagship SUV from the house of Mahindra. The last update for the XUV500 before this one was in 2015. Mahindra re-defined the segment offering class-leading comfort combined with the toughness and go-anywhere capability of an SUV. The new XUV500 comes with a lot of changes on the exterior, interior and mechanical front. The new XUV 500 gets a new chrome grille with a mesh design. A large chrome strip surrounds the grille. The new grille finely blends beauty with sophistication. 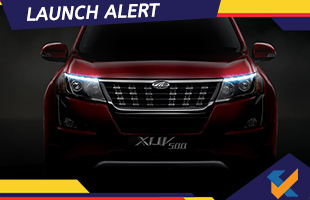 The new XUV500 also gets newly design twin-pod headlamps with projectors and eyebrow LED DRLs. The fog lamps carry forward the design from the last gen XUV500 but housed in newly designed black plastic elements which appears like a continuation of the headlamp cluster. The face has acquired a fine blend of squarishness and curves, rendering a more matured face to the XUV500. The cheetah profile of the sides remains intact. However, the Mahindra XUV 500 comes shod with a new set of diamond-cut alloy wheels. There are ‘just enough’ plastic claddings around the wheel wells and on the running board. The rear gets a new set of triangle shaped rear lamps which extend to the sides of the vehicle. The rear reflectors are placed lower down. The rear bumper is also redesigned and the rear tailgate gets a new chrome number plate garnish. The roof-spoiler with integrated high-mount stop light completes the design at the rear of the new XUV500. The cabin is also aptly updated to complement the updates outside. The top trim variants get quilted tan leather seats. The dashboard is finished in a mix of dark grey and black shades finished with soft-touch materials for the dashboard and door trims with premium stitch lines giving the XUV 500 an upmarket feel. The center console is now inelegantly finished piano-black plastic. Mahindra has also significantly improved the quality of materials used inside. However, Mahindra has not touched the design and layout of the dashboard as well as the steering wheel. The new XUV500 gets a 7-inch touchscreen infotainment system which comes bundled with GPS, Bluetooth, and USB (Audio and Video). The infotainment system also gets Android Auto, Connected Apps, and Ecosense features. Mahindra is offering an industry first smartwatch connectivity thru BLUESENSE. With this feature, you can control the car’s audio, climate controls, emergency assist, location services, tyre-tronics, fuel statistics and some more with your smartwatch. Mahindra has also strapped with other features like electric sunroof with anti-pinch, push-button start & stop, keyless entry, automatic climate control, Mahindra logo projection on ORVMs, keyless entry, and rain-sensing automatic wipers. The steering wheel has got tilt and telescopic adjustments; this feature along with 6-way power adjustable driver seat assures the best driving position to the driver. Coming to safety, dual airbags and ABS with EBD is standard across all the variants with the top trims gets six airbags (including side and curtain) on the top variant with ESP with rollover mitigation and hill hold and hill descent control. Powering the new XUV500 is the 6th generation (eVGT) mHawk diesel engine which generates a peak power of 155 hp @ 3750 rpm and a max torque of 360 Nm @ 1750-2800 rpm. The engine is tweaked to offer improved torque in the low and middle rev ranges, peppier transient response and will make the new XUV500 a pleasure to drive at high speeds. The petrol is available as only one variant, the 140 hp G variant mated to an automatic gearbox.  The car is also available with AWD option. Watch this space for more news about this Mahindra flagship soon.